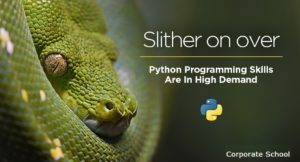 The high demand for software is creating an even greater demand for those with Python programming skills. As the Internet of Things continues to involve more of our daily lives, those with in-demand programming skills are building amazing careers. Although the number of development careers continues to grow, the number of workforce-ready developers fails to keep pace. 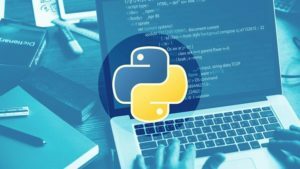 This has created great employment opportunities for those with the right skills, and those with skills in Python programming are filling a much-needed role within the fields of software and web development. According the Bureau of Labor Statistics, the field of software development is predicted to continue growing at a rate of 17 percent through 2024. This rate of growth clearly outpaces other IT-related careers. Although, this shouldn’t come as a surprise considering the high demand for software and the growing popularity of cloud technology. The median salary for software developers was a little over $102,000, which makes this an ideal field for those aspiring for a high-paying salary. The Bureau of Labor statistics predicts the field of web development to continue growing at a whopping rate of 27 percent through 2024. This field is undergoing massive growth as organizations all over the world scramble to find qualified talent. Again, the high demand for web-based solutions is making web development an exciting field to pursue. The BLS reported the median salary for web developers was a little over $66,000 with the highest paid earners making well into six figures. Getting certified in Python programming will open up a host of employment opportunities. Currently, Indeed is reporting well over 45,000 available jobs that require Python programming skills. In addition to the high number of available positions, Indeed also reports salaries spanning from $70,000 to $120,000. With so much available opportunity, it’s amazing that many positions still go unfilled. Without a doubt, those who develop Python programming skills will have a multitude of options. Python is a popular programming language used throughout the world. Created by Guido van Rossum and introduced in 1991, Python is an interpreted language designed for readability. Python programming utilizes whitespace indentions instead of curly brackets and a simplified syntax making it easier to write code. This is a significant change from programming in C++ or Java. Certainly, simplicity is at the foundation of Python programming and the reason for its world-wide use. Python is powerful, fast and interacts well with other programming languages. Not only can you run Python anywhere, it’s user friendly making it an ideal choice for those beginning a career in software or web development. The Python Package Index (PyPI) is a repository of software that includes Python’s standard library and thousands of community contributions. This collection of nearly 120,000 third-party modules provides limitless possibilities for software and web developers. Python offers a multitude of choices for web developers. This includes dynamic frameworks like Django and Pyramid, which help developers create faster and cleaner code. Python also offers micro-frameworks like Flask and Bottle. Advanced content management systems like Plone and Django CMS are also available for advanced practitioners. In addition to multiple frameworks, Python’s standard library supports a host of internet protocols like HTML, XML, JSON, and more. Without a doubt, Python programming is an ideal language for web development. Software developers utilize Python programming in a number of ways. This includes using Python as a support language, build manager and software tester. Software construction tools like SCons provide build control while Buildbot and Apache Gump provides job scheduling. Likewise, Roundup and Trac provides bug tracking and project management to ensure successful project outcomes. Certainly, Python provides a host of benefits for software developers. Anyone with an aptitude for technology and passion for coding can find success with Python programming. Not only is Python in demand, it’s easier to learn than most programming languages. Also, a supportive community, multiple live conferences and informative meetups make it easy to develop skills and gain knowledge as you advance your career. IT training providers and online coding boot camps are ideal places to start. 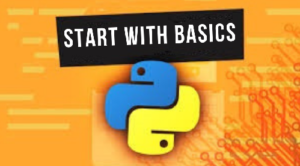 These resources provide everything you’ll need to begin a career in Python programming. “Python has been an important part of Google since the beginning, and remains so as the system grows and evolves. Today dozens of Google engineers use Python, and we’re looking for more people with skills in this language.” – Peter Norvig, Director of Research at Google Inc.
Python programming skills are in high demand, and those willing to train and develop these skills are finding amazing employment opportunities. As long as mankind continues to rely on software-based solutions, the need for simple and dynamic programming languages like Python will continue to grow. Anyone wanting to begin a career in software or web development is encouraged to chat with a friendly KnowledgeNet representative about the many Python training resources we have available. 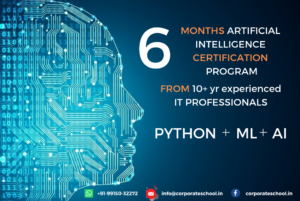 Begin your career today with Python programming.